Hello, friends. What a difference a week makes!! Can you believe how quickly the weather can change? Last week when we were away I packed a suitcase full of summer clothes and it was freezing, gale force winds and raining. Now we are back home, this week it has been red hot and sunny. Typical eh!? I love the variety and you defiantly get variety in the UK. I just like to be warned first!! 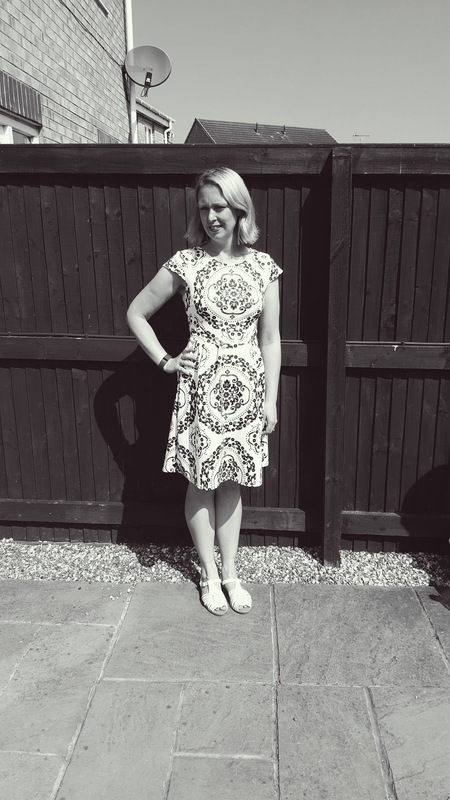 Real Mums Real Style: What A Different A Week Makes. 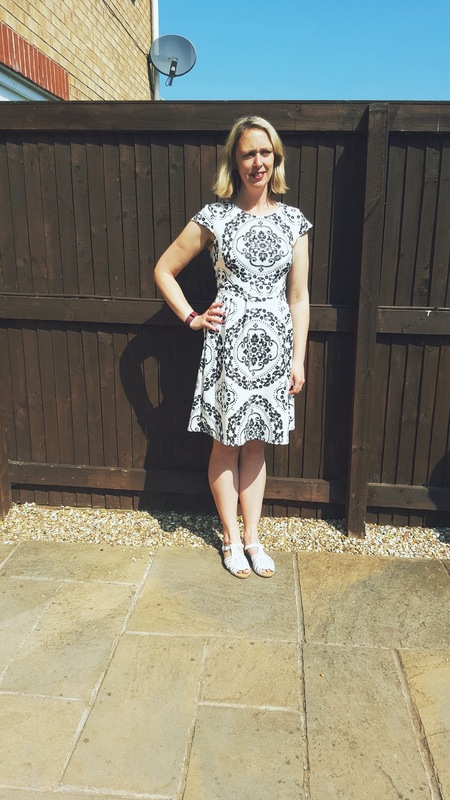 I wore this dress on Monday on a trip to Meadowhall. We took our oldest son with us before he headed back to Uni, to pick himself something nice for his birthday. Such a lovely trip out. Talking of birthdays, I still have my birthday money burning a hole in my pocket. When you do not have any spare money you see lots of things you want to buy. Then when you have some, you don’t see anything. Are you the same? How hard is it to take pictures when the sun is in your eyes? Where are your sunglasses when you need them? Beautiful blue skies. Make me want to go on holiday abroad for a few weeks and lazy around a pool! Whenever I smell the coconut suntan lotion it makes me want to jump straight onto a plane! How has the weather been near you? 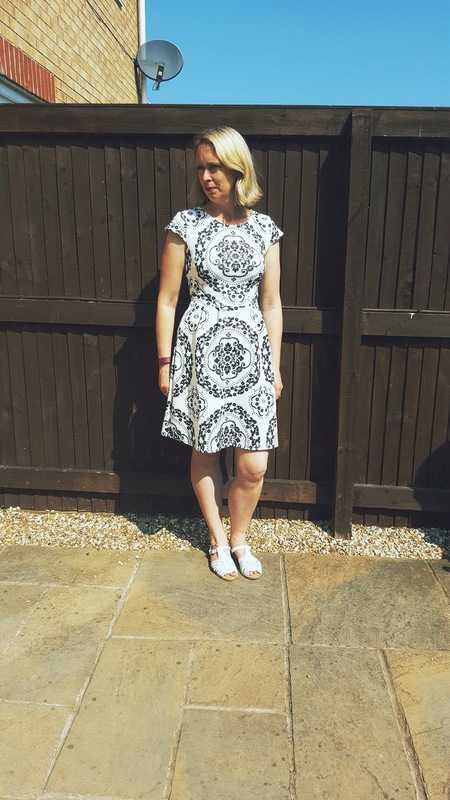 Linking up Real Mums Real Style: What A Different A Week Makes with the lovely Ada at Elegance and Mommyhood for Thursday Moda. 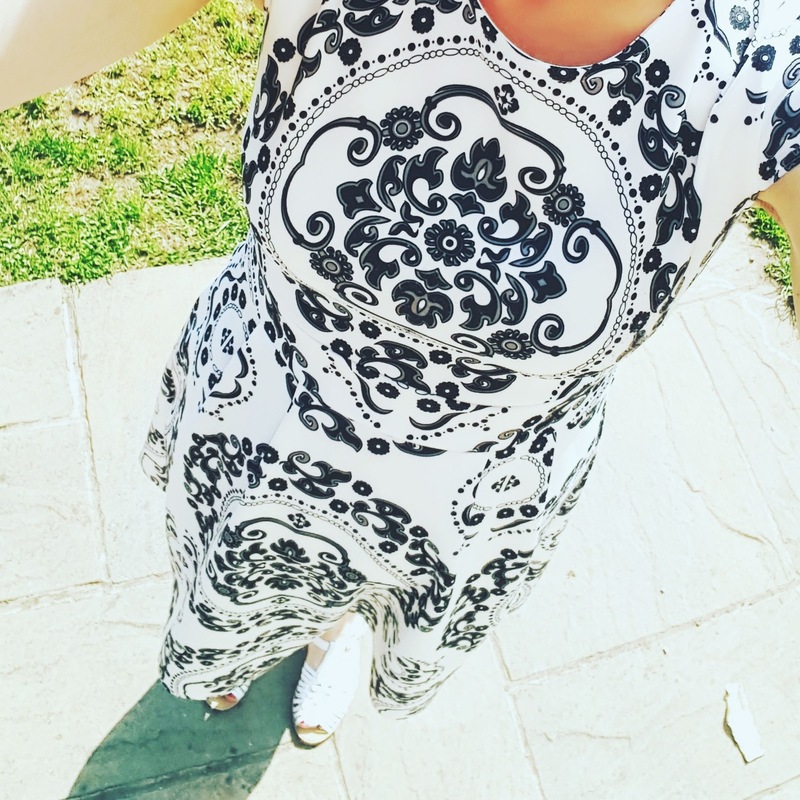 Do not forget to come and share with us your outfits at Welcome To The Weekend Blog Hop On Friday and Creative Mondays on Monday. "Long Life Raspberry And Bergamot Jam With Love From Friends of Glass"
"Sunday Lunch Scones: Queen’s Birthday"
That dress is beautiful. Glad to hear the weather has warmed up for you. It's raining here in Chicago today. Have a terrific day! Thanks Casica, it is so nice. I am sure it will change soon though! Thank Laurie, I want to save it for something I really like or I will waste it on bits and bobs!! NYC has been funny lately..sometimes it's super summer hot, sometimes it just simply drops to cold breeze. 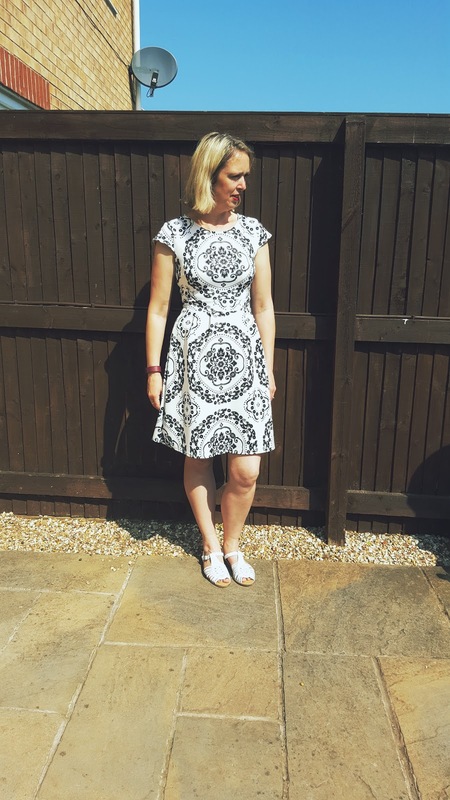 Love your dress!